Are you trying to discover the most effective free plagiarism detection tools? Plagiarism is a highly intolerable act in the literary and digital community; a practice that all reputable individuals and companies are trying to avoid. In this article, I’ll present the top 10 free plagiarism detection tools that will help all eLearning professionals give credit where credit is due. Modern technology and the development of Internet have given us access to tons of information any time we desire it and from any place on the planet. Original ideas tend to become rarer and rarer. Everybody seems to be reproducing other people's ideas and presenting them as their own. Although this practice is not anything new, a lot of people might argue that nowadays it has reached its peak. 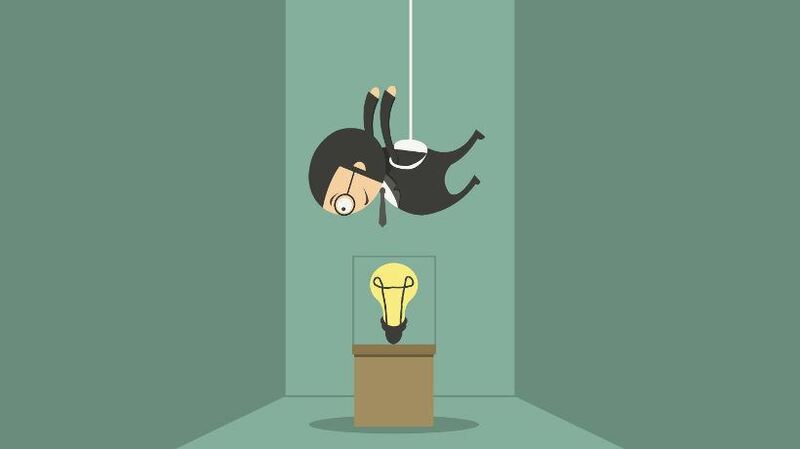 In this article, I'll highlight the top 10 free plagiarism detection tools that will allow eLearning professionals to tackle the plagiarism nightmare. This is one of the most effective free plagiarism detection tools on the Internet. While it doesn’t have a fancy interface, it certainly gets the job done well. You don’t have to pay anything. Whether you are a one-time user or plan to make the most of this free plagiarism detection tool on a daily basis, you are not required to pay for subscription. You are presented with a very basic, functional layout that does not require for any previous experience with plagiarism detection tools. Duplichecker enables you to either copy and paste your text in the field and then check it for plagiarisms, or upload a Docx or Text file from your computer. If you sign up for free, Duplichecker allows you to do 50 plagiarism checks in a single day. If you choose not to indulge in a free sign-up then you are limited to only 1 plagiarism check per day. No paid version is available. This cloud-based authentication platform enables you to track how eLearning content is being used all around the Internet. Different sections on the platform for educational and business purposes. The business section addresses to publishers and SEO agencies, while the education section to schools, students and universities. Copyleaks is able to scan content in various file formats and all Unicode languages. Copyleaks allows you to use the API tool to search for plagiarized eLearning content all over the Internet. It also offers a mobile app along with an MS Office add-on, which you can use to check for plagiarisms as you are writing a document on MS Word. Unfortunately, you need to create an account for free first, in order to search for plagiarized eLearning content. Only the first 10 pages are for free. If you sign up for free you are allowed to check 2,500 words per month. There are flexible subscription plans starting from $9,99 per month to check up to 25,000 words without day limit. You may also choose to give a prepaid amount of money once that corresponds to specific number of words to be checked monthly. The Free package works the same as for businesses. Starting from $10,99 you can check for up to 25,000 words. The prepaid option for business, is also available here. A multi-purpose free plagiarism detection tool that is used in over 140 countries. If you need to check your text for grammar mistakes, have it proofread with suggestions for different wording, or have it checked for plagiarism, this is the tool. Developed by a team of computational linguists and subject matter experts. PaperRater boasts accurate results in seconds. If you are looking to store result report, then you are out of luck here. Free of charge, submissions of up to 5 pages, grammar and spelling check, writing suggestions tool and automated scoring. $7,95 per month or $95,40 per year. All above features included plus proofreader with simultaneous plagiarism check, no ads, file uploading ability and faster processing times. Basic and easy-to-use, multi-purpose plagiarism detection tool that is used by students, teachers, writers, as well as various members of the literary industry. There is virtually no language excluded from the list. Copy and Paste or Τype your text in the appropriate field, provide a URL, or upload a file from your computer. Supported file types include: TXT, HTML, RTF, DOC, DOCX, XLS, XLSX, PDF, ODT, EPUB, FB2, PDB. Have your text quickly checked by downloading the add-ons. If you are looking for a tool for extensive use then look somewhere else. The free version has a limited number of plagiarism checks. Free version of Plagiarisma offers all the aforementioned benefits. If registered, you can upgrade to Premium Members hip. Pricing plans start from $5 for one day for up to 100 searches. For unlimited searches, there is a $25 or $30 subscription for 3 or 6 months, respectively. For up to 25 users, there is a fixed monthly subscription of $25 for unlimited number of searches. User-friendly, entirely free plagiarism detection tool to check whether content is plagiarized. One of the easiest to use free plagiarism detection tools due to its step-by-step approach on how to use it. Click on the “For authors” option to check whether they have plagiarized your content and posted it on the Internet. You may also get a notification by email. Basic but fully functional free plagiarism detection tool with different levels of search. You basically copy-paste text. It features 2 types of searches, quick search and deep search. For up to 5,000 characters per search you don't have to pay any fee. Only if you sign up you can upload your file, have it checked, and receive a word usage report on it. If you are a frequent user of the platform, Plagium urges you to pay for a subscription. For $9,99 per month you can do 287 Quick Searches and 143 Deep Searches. For $24,99 per month you can do 699 Quick Searches and 349 Deep Searches. The last option is a $99,99 per month subscription which offers 2,949 Quick Searches and 1,474 Deep Searches. Plagiarism detection tool for both individuals and businesses that checks texts against online content, scientific journals and the user’s documents as well. You can select from: a) directly pasting you text into the appropriate field, b) importing the file from the web by entering its URL at the indicated area, or uploading it from a cloud storage area such as Dropbox, Google Drive, or OneDrive, c) uploading a file from your desktop. The user pays on-demand according to their respective needs. Businesses can integrate Plagscan into several Content and Learning Management Systems (CMS/LMS). As opposed to competitive platforms the interface seems quite advanced. Starts from $5,99 per month with online storage time for up to 6 months. Accounts for schools, universities or companies start from $19,99 per month with unlimited online storage time along with a variety of administration and cloud features. Fast free plagiarism detection tool that searches both websites and academic databases by copying and pasting text, or file uploading. Students, teachers, publishers and site owners can take advantage of Plagtracker. The user gets informed as to what parts need to be cited and a list of sources to be used. Check your eLearning content in English, French, Spanish, German, Romanian and Italian. You have to purchase a premium package to have your file uploaded and checked. For $7,49 per month you can upload and check larger files with faster processing times, grammar checks and unlimited checking volume for multiple documents. Basic layout and functional interface that checks against the Internet, as well as various databases. No account, registration or downloads needed. Users can only copy and paste text in the designated area. Free of charge. No premium memberships. No subscriptions available. A 3-step free plagiarism detection tool with user-friendly interface. All features are available to everyone on the Internet. Your document will be checked against more than 10 billion online resources including journals, books and websites. Mostly targeted to academic students as it is widely used for evaluating student papers. No subscriptions available. Entirely free platform. Plagiarism is no mild act in the world of eLearning. Are you still unconvinced about the importance of plagiarism check platforms in eLearning? Read the article 5 Important Reasons To Use Free Plagiarism Checkers in eLearning to discover some fundamental points that will demonstrate the significance of plagiarism checkers.